I used to work from a cubicle. Now I work around the world! A career doesn’t make you a great person, a great career is created from the best parts of you and your passions. Let’s get started on a few ideas that you can master locally or abroad. Not sure where to start? 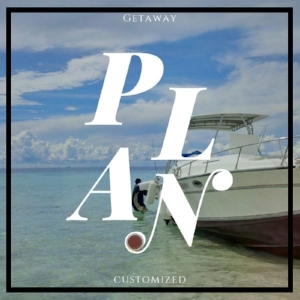 Lisa May can help you make your getaway plan to save heaps on expenses and live abroad! Lisa May shares her spontaneous thoughts on traveling, cultures, life's transitions and offers the inspiration to just pack up and roam abroad. Some pictures can only be communicated in words. Lisa May shares her intimate thoughts on life's encounters while living in exotic cultures around the world. EXPAT REAL INTERVIEWS WITH PEOPLE MAKING LIFE ABROAD WORK! I am Lisa May and this is Expat Real where I travel and Interview expats living all over the world. This show I interview Journalist, Writer and Educator, Kenya C. Evans. Native to Wisconsin, USA, Kenya decided to spice up her life by teaching English abroad. She pushed the boundaries of travel to work and live in South Korea, Saudi Arabia and, now, Colombia. I get the inside scoop on how she found work teaching English abroad, what it was like for a single African American woman live in Saudi Arabia and how Kenya's expat secrets to managing a new life in a new country. Kenya's hometown is affordable and fun! Online Communities to find fun, friends and resources. Join Expat Real when we interview adventurous hostel owner, Anna Knack. She gives us the scoop of lifestyle adjustments to the beauty of the Caribbean. Yum! Join Expat Real Wednesday, November 9 and learn of the many different ways Maggie Minor has worked and lived in 30 different countries. Maggie also reveals a few excerpts from her new book, Adventures of a Curious Sculptor. We are excited to announce our premier episode of Expat Real! "I was done looking for multiple jobs just to survive the basics of life. It was time to live abroad for less and blow this pop stand called America." About Lisa May and her fearless moves as a domestic explorer. 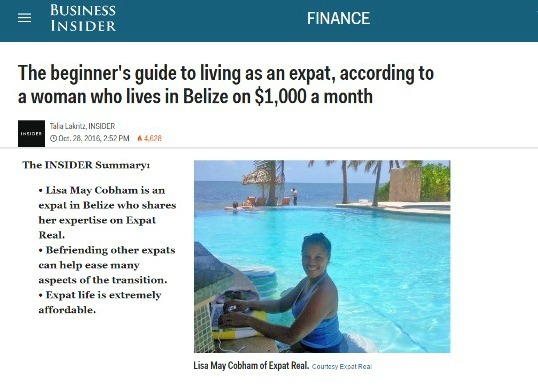 The story behind host and founder of Expat Real, Lisa May Cobham. She discusses her passion for traveling the world in search of a higher quality of life for less. "If it's out there, I'll find it." Have you been daydreaming about another situation where life is lighter and brighter living within your means but are afraid to make that first step? Then one day I put all cares aside. Back in uber explorer mode, Lisa ventures out to Antigua, Guatemala to ride her first tuk-tuk and experience a cool colorful culture. Central Park is the place to be in Antigua! Check out the difference between Central Park, NYC and Central Park, Antigua, Guatemala. Lisa May gets the word out about the dream of living abroad for less! Featured interview with host Brian Rose on London Real, the talk show that introduces the world to the most fascinating people on the planet. Featured in the Finance section of The BUSINESS INSIDER. Use these easy steps to live like a boss abroad! Nat & Jodie of House Sitting Academy pulls tips from Lisa May about turning house sitting into something lucrative. To see the full interview click this link and follow the prompts to summit 2016/day 3/Lisa May.